For the regular readers here, it is probably evident that my style runs towards the shabby, simple, but still unique. This package wrap fits all three of those words. 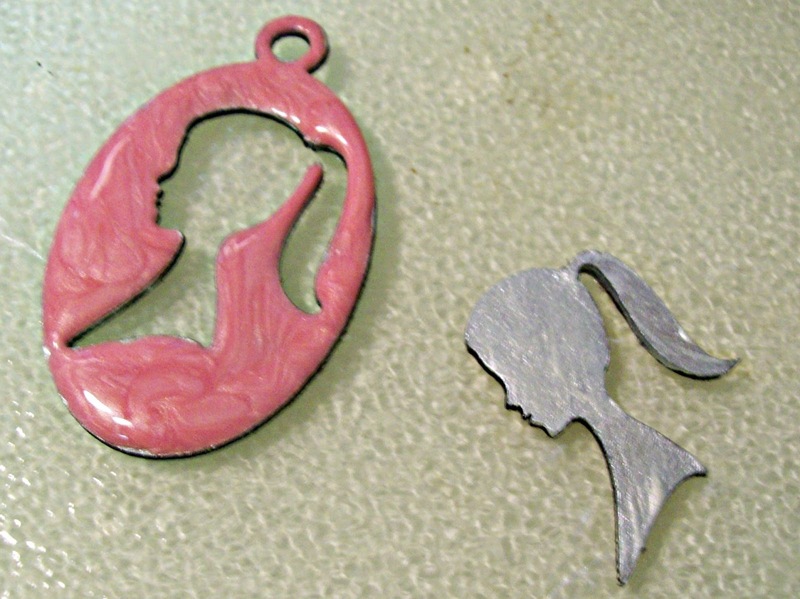 And it is SO SIMPLE - with the exception of waiting for the 3D Gel to dry, I made three of these types of tags in 15 minutes. - pink yarn or floss. I used the Ivory Paint as a base coat for the entire piece.I even left the whole thing as one piece. Separate the center and the outer part. The next step is really the only "pay attention" step. SHAKE the Coral Pearl 3D gel really well. You can see that the lighter shimmer separates in the bottle - simply shake well to mix this back up (much like nail polish). 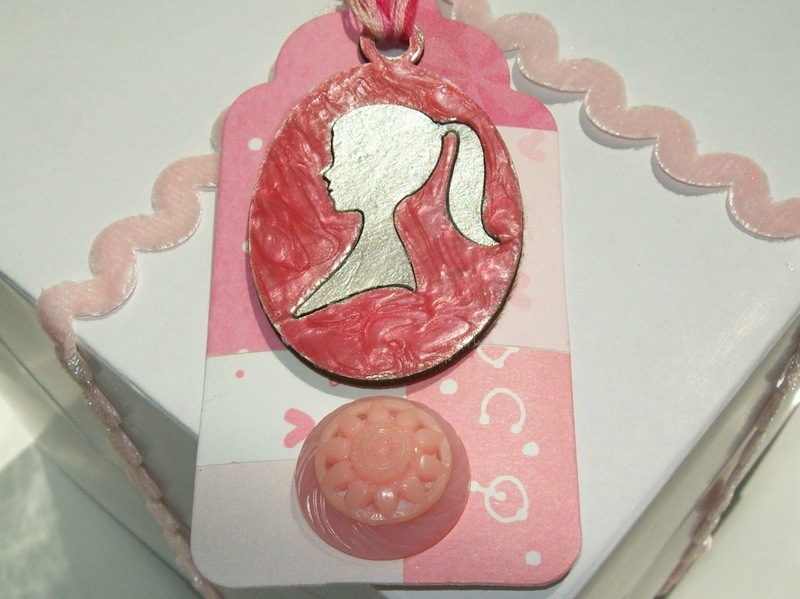 Paint the center girl medallion with layers of the IVORY Creative Inspirations paint until she is a gorgeous sparkly splendor as well. The great thing about using the two different coloring methods is that there is a lot of dimension to the finished tag. I love the marbled effect the gel has. 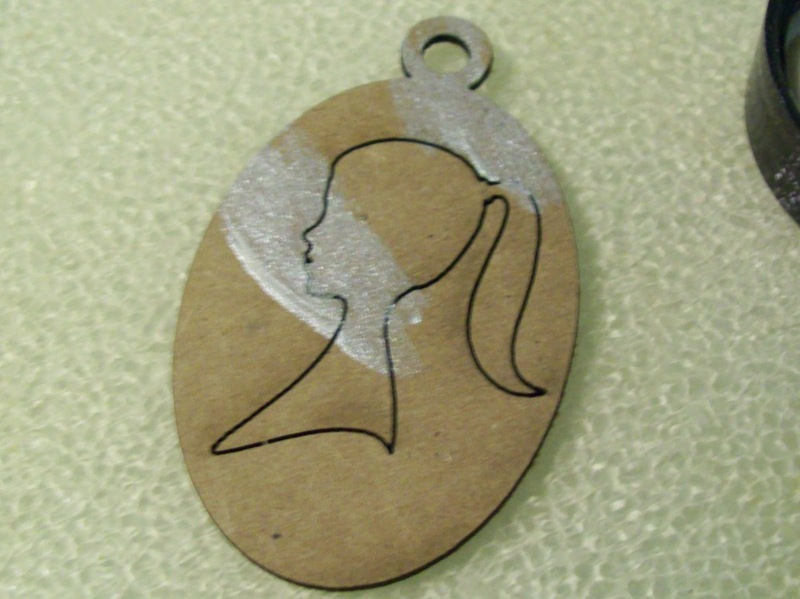 Add to your tag base and glue both pieces onto the tag. Add your embellishments to the rest of the tag. 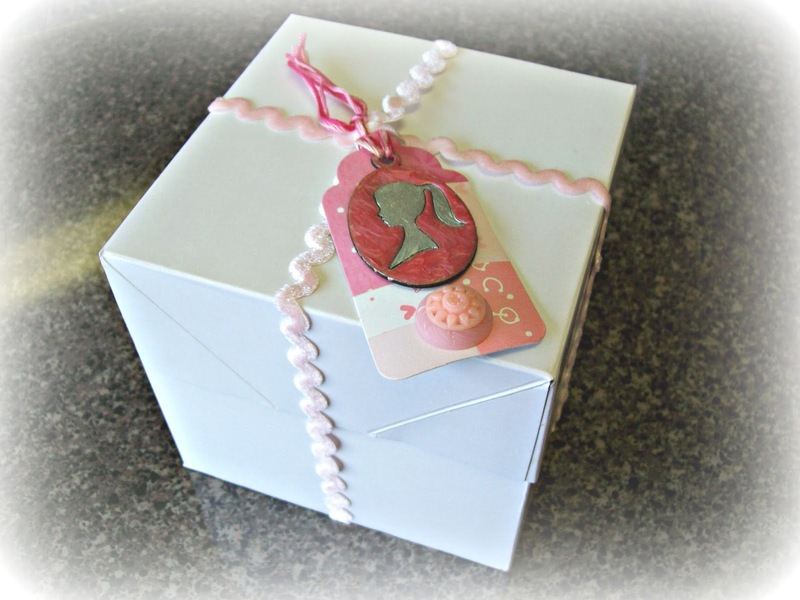 Add your ribbon and tie to a sweet baby girl gift. A quick and simple package tie on. I am so happy you stopped by to see how quick, simple, and inexpensive it can be to make a customized gift wrap addition. 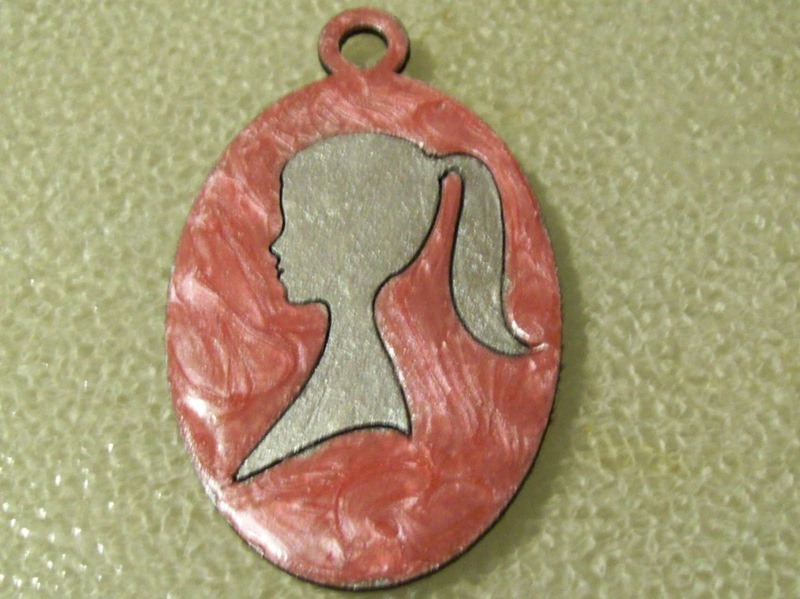 What a wonderful tag, I love the two different mediums you used with the shimmer and pearl effects. A Certain Darkness. . .
And The Day Came. . .